BA-14-100 Super Clear Cello Style Bag. 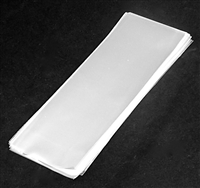 3 1/2" x 11" 100 ct.
BA-14Q Super Clear Cello Style Bag. 3 1/2" x 11" 1000 ct.